Dwight Gayle scored a second-half brace to seal a 2-1 victory against Stoke and ensure Crystal Palace's place in the Barclays Premier League next season. Alan Pardew's side knew that a draw would be enough to secure their top-flight status in a campaign which has dramatically fallen off the rails since the turn of the year. Charlie Adam opened the scoring for Stoke midway through the opening period, but Gayle struck twice after the interval to ensure another season of Premier League football at Selhurst Park. Palace, who will face Manchester United in the FA Cup final later this month, were as high as fifth at Christmas but had slipped to 16th ahead of Saturday's fixture following just one win in 19 league games. The south London club began the game in fine fashion with Yohan Cabaye's deflected free-kick falling just wide of Jakob Haugaard's post. They were then appealing for a penalty after Gayle was shoved over by Phil Bardsley, but referee Kevin Friend waved away their appeals. While it was a foul, TV replays showed Gayle had been tumbled over outside of the area. Moments later Joel Ward scuffed a shot after he was played through by Jason Puncheon. But Stoke, now winless in their last six matches, absorbed the early pressure and began to come into the game. Adam then stunned the Palace crowd when he opened the scoring midway through the first half. Giannelli Imbula, the B#18million signing from Porto, bizarrely wearing gloves on a balmy day in south London, played through Marko Arnautovic who in turn laid the ball on for Adam. The Scotland international made no mistake, coolly slotting the ball past Wayne Hennessey to score his first goal of the season. Palace had little response, and a ripple of boos rang out as Friend blew his half-time whistle. Pardew had been scribbling away on his notepad in the closing stages of the first half, and whatever he said to his team at the interval appeared to do the trick. Welshamn Joe Ledley replaced Yohan Cabaye, struggling with a knock, and the hosts were back on level terms with less than two minutes of the second half played. Yannick Bolasie twisted one way then the other, fainting to shoot, before the ball, admittedly with more than a hint of fortune, fell to Gayle who shaped a shot past Haugaard. 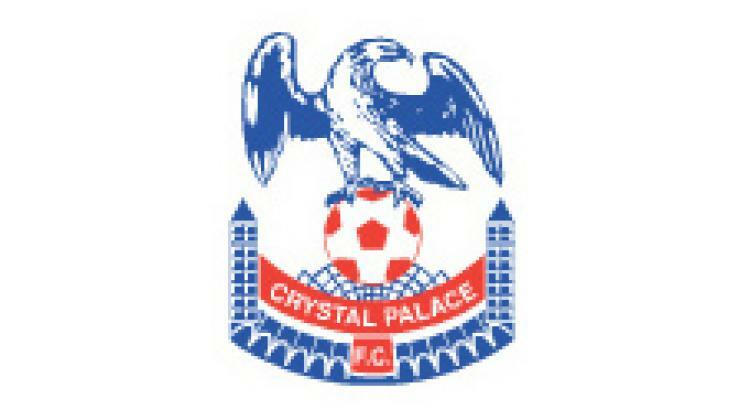 A rampant Palace were suddenly back in charge. Puncheon fired just over after a neat flick from Gayle before Connor Wickham's header at the far post grazed the woodwork. They then took the lead after Gayle, fouled by Ryan Shawcross, dusted himself down to curl a delightful 25-yard free-kick past Haugaard with 22 minutes of the game remaining. Stoke's best chance of an equaliser fell to Arnautovic, but after he rounded Hennessey, he blasted his shot over the bar with the goal seemingly gaping. That was as good as it got for the visitors. "We're feeling glad all over" sung the Palace supporters at the final whistle, and with their top-flight status now in tact and a Wembley date to look forward to, it was hard to disagree.